Canada's Justin Trudeau says informal NAFTA talks likely in next few days at U.N.
Trudeau says informal NAFTA talks likely in next few days at U.N.
Trudeau: "Certainly the fact that many of our negotiators, many of our teams, will be in New York at the same time [means] it's very likely that conversations continue in a constructive but less formal way." MONTREAL -- Canadian and U.S. officials trying to reach a deal on NAFTA are "very likely" to hold informal talks on the sidelines of a major U.N. meeting in the next few days, Prime Minister Justin Trudeau said Sunday. With time running out ahead of a U.S.-imposed deadline of the end of September, negotiators are making slow progress on updating the North American Free Trade Agreement. U.S. President Donald Trump struck a side deal on NAFTA with Mexico last month and has threatened to exclude Canada if necessary. He also said he might impose a 25 per cent tariff on Canadian auto exports, which would damage Canada's economy. Trump took office last year vowing to tear up NAFTA unless major changes were made to a pact he blames for the loss of U.S. manufacturing jobs. Canadian Foreign Minister Chrystia Freeland and U.S. Trade Representative Robert Lighthizer -- the two top officials at the talks -- are due to be in New York on Monday and Tuesday for the U.N. General Assembly. "Certainly the fact that many of our negotiators, many of our teams, will be in New York at the same time [means] it's very likely that conversations continue in a constructive but less formal way," Trudeau told reporters. Trudeau, speaking after talks with Spanish Prime Minister Pedro Sanchez, said nothing had formally been arranged. A Freeland spokesman declined to comment. The United States and Canada are divided over the best way to resolve trade disputes and a U.S. demand for more access to Canada's protected dairy market. Markets are reacting nervously to uncertainty over the future of the 1994 pact, which underpins US$1.2 trillion in annual trade. Over the past 25 years, the three countries' economies have become increasingly integrated, especially the auto industry. 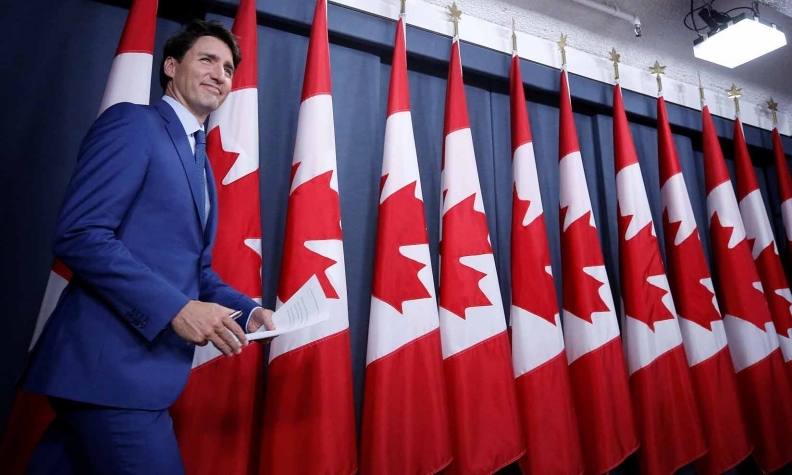 Canadian negotiators have said they will not be rushed and Trudeau reiterated on Sunday that he would not sign a bad NAFTA deal. Freeland and Lighthizer met in Washington last Thursday and made little progress. Canada also made clear the United States needed to withdraw the threat of auto tariffs for a deal to be possible.